HOME ADDRESS: Village- Bihabandh-Tanatoli, P.O- Lanjiberna, District- Sundargarh, Odisha, India. FAMILY: Father (Anjlus Minz), Mother (Sylvia Minz). PRODUCT OF: Sports Hostel, Panposh, Rourkela (Joined in 2005). * Represented Panposh Hostel in the Junior Nehru Cup Hockey Tournament in 2006, 2007, 2008, 2009 (Champions) and 2010 (3rd position). * Represented Orissa in the National Rural Games in 2007 and 2009 (Champion). 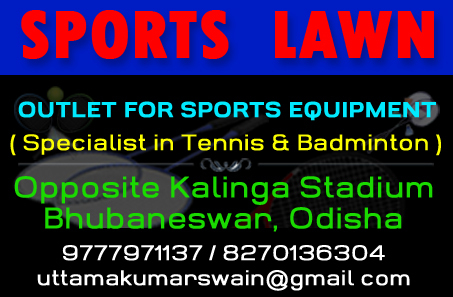 * Represented Orissa in the National School Games in 2006, 2008, 2009 (Champion) and 2011. 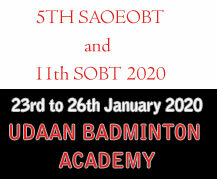 * Represented Orissa in the National Inter-School Games in 2008 (3rd position). * Represented Orissa in the Sub-junior National Championship in 2007 (3rd position) and 2008 (3rd position). 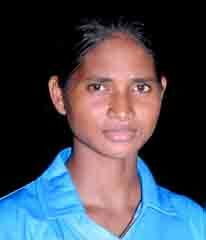 * Represented Orissa in the Women’s National Games in 2010 (Runners-up). * Represented Orissa in the Senior National Championship in 2011 (3rd position). * Represented Orissa in the National Games in 2011. * Selected by Hockey India to join the Senior National Women Coaching Camp to be held at Major Dhyan Chand National Stadium in New Delhi from December 27 to February 15, 2011. * She was part of the Indian women team that won the 5-match bilateral hockey series 4-0 against Malaysia, held at Kuala Lumpur, Malaysia from 4-11 April, 2019. * She was part of the Indian team that lost in the quarterfinals of the 14th Women’s Hockey World Cup, held in London from July 21 to August 5, 2018. * She was part of the Indian women team that drew the five-match series against Spain, held in Madrid from June 12-18, 2018. * She was part of the Indian team that won the silver medal in the 5th Women Asian Champions Trophy Hockey Tournament, held at Donghae City, South Korea from May 13 to 20, 2018. * She was part of the Indian team that won the gold medal Women’s Hockey Asia Cup after a gap of 13 years at Kakamigahara city in Japan on Nov 5, 2017. * She was a member of the Indian women’s team that won one and lost three matches during their Europe Tour (Netherlands and Belgium) from Sept 8 to 18, 2017. * She was part of the Indian women’s team that lost a five-match test series 0-5 against New Zealand, held in New Zealand from May 14 to 20, 2017. * She was a member of the India team that finished sixth in the Hawkes Bay Cup Women Hockey Festival, held at Hasting in New Zealand from April 2 to 10, 2016. * She was a member of Indian women hockey team that won five matches, drew one and lost two on its South Africa tour, which took place from Feb 20 to March 1, 2016. * She was a member of the Indian women team that finished seventh in the Hawkes Bay Cup Tournament, held at Hastings in New Zealand from April 11 to 19, 2015. * Achieved an important career milestone by playing her 50th match for the Indian women hockey team against the China in the Hawke’s Bay Cup at Hastings in New Zealand on April 11, 2015. * She was a member of the Indian women hockey team that won the bronze medal in the 17th Asian Games at Incheon (South Korea) on October 1, 2014. * She was part of the Indian women team that finished fifth in the 20th Commonwealth Games, held in Glasgow from July 23 to August 3, 2014. * She was a member of the Indian team that won the women’s hockey test series 6-0 against Malaysia held at Kualalumpur from June 9 to 17, 2014. * She was a part of the Indian team that made history by winning the bronze medal for the first time in Women`s Junior Hockey World Cup at Monchengladbach in Garmany on July 4, 2013. * Represented Indian senior women`s hockey team in the FIH World League (Round 2) at New Delhi from February 18 to 24, 2013. * Helped India win the bronze medal in the Girls U-18 Asia Cup Hockey Championship at Bangkok, Thailand (Sept 25, 2011). * On August 29, 2016, Chief Minister Naveen Patnaik felicitated her with a cheque of Rs 5 lakh for representing India in Rio Olympics 2016. * On July 26, 2016, Chief Minister Naveen Patnaik directed Odisha Mining Corporation to provide her a special incentive of Rs 10 lakh for participation in Rio Olympic Games. * Odisha government on October 10, 2014 announced a cash award of Rs 75,000 lakh for Lilima for helping India win women`s bronze medal in the 17th Asian Games at Incheon. * Odisha Cricket Association on Oct 2, 2014 announced a cash award of Rs 10,000 for Lilima for helping India win the bronze medal in the 17th Asian Games at Incheon. * On August 11, 2014, Mahanadi Coalfields Limited felicitated with a cash award of Rs 1 lalkh for helping India win bronze medal in the 2013 Junior Women Hockey World Cup in Germany.